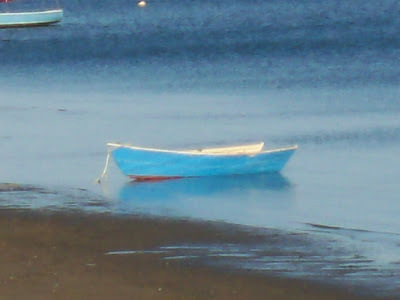 I took this pic on one of my early morning "the way i see it" strolls through Provincetown, window shopping before the town was awake. I liked seeing the reflection of image across the street it had a double exposure feel. For an earlier post of another mannequin window take a look here. This photo was also taken early morning just as the sun was going to rise. I liked it alot because it was out of focus and actually has a pastel feel to it. I've embedded the following slideshow of assorted images for your perusal. It's a small compilation of "The Way I Saw It" in the Cape Cape and Newport. I have so many wonderful photos of this area, and these are just a few snippets taken from catalog. I have added captions so that you would know where these photos were taken. My husband and I had taken a side trip to see the Newport Mansions. I have include some photos of these mansions and the beautiful cliff walk that surrounds the area. These were the homes of The Vanderbilt's,The Cortlandt's,the coal magnates of the Colonial Era through the Gilded Age. You can learn more about the mansions here. Newport Rhode Island is also the home of "The International Tennis Hall of Fame", and the oldest Synagogue in America "Touro Synagogue" a place that is symbolic of the religious freedom for all Americans, "that the right of the individual freely and without governmental restraint to follow the dictate of his own conscience in religious worship could be exercised without danger to the state." Another great find was the National Museum of Amercan Illustrator's which houses the works of the master Illustrators such as, Maxfield Parrish,J.C. Leyendecker, N.C. Wyeth,Norman Rockwell, Howard Pyle,Jessie Wilcox Smith to name a few. I hope you learned a bit of trivia you didn't know and enjoyed your visit. You can click on this slide show to view larger images. 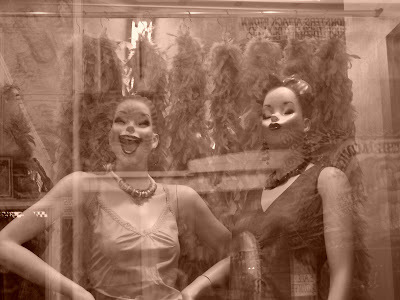 "Learn to listen or your tongue will keep you deaf"
Please stop by my other blogspot, "ThE ArTfuL EyE"
Those mannequins are quite scary looking, as if they are made to terrify little children who don't behave and will be punished if they don't go to bed on time. "A mannequin will come out of the closet and scare the daylights out of you." Your other pictures are lovely. Yes, the first pic is almost a hybrid. Very refreshing - it places you in a place, a season - you even get a sense of how sultry it is/was/will be. I have always wanted tgo go to the Tennis Hall of Fame. I need popcorn for the slide show. I have sampled your pics and do not remember asking for permission. I apologize for that....sorry. Any pic I sample you can print etc - if I ever "do" a show (ha, ha) I may want to include the cape code one - who fricking knows.